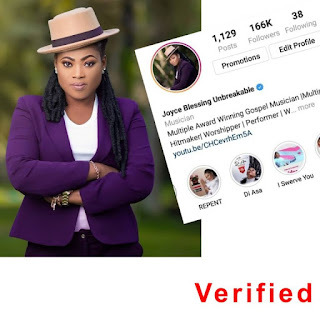 Multi award-winning gospel singer Joyce Blessing has been verified by photo sharing social media platform Instagram on Friday , 30th March, 2019. Joyce Blessing signed up for Instagram in a year and has become the 3rd Ghanaian resident gospel musician to earn the authentic blue tick on Instagram following Joe Mettle and Ohemaa Mercy. The singer incessantly has the fastest growing social media page as a Gospel artiste with 166k following within a year. The singer incessantly has the fastest growing social media pages as a Gospel artiste with 166k following on Instagram within a year. 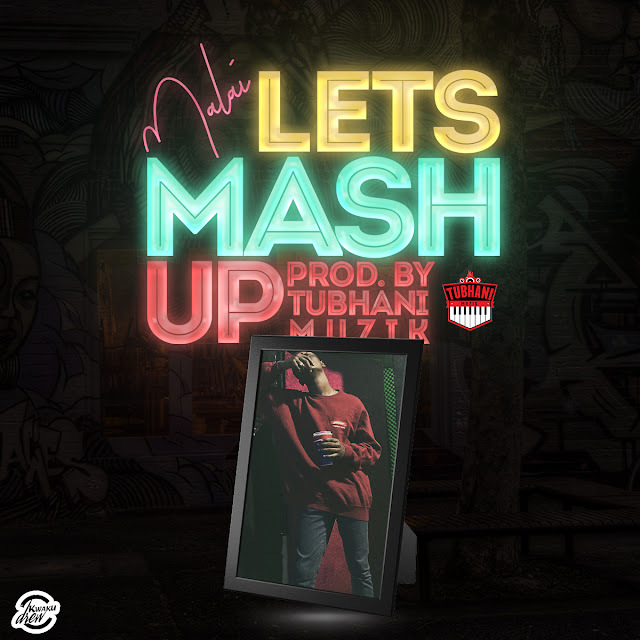 The I Swerve You crooner is definitely augmenting her fanbase to other African countries with spirit filled music as she recently bagged nominations for Maranatha Worship Awards in Kenya and HiPipo Music Awards in Uganda. The gospel minstrel is gearing up or 2019 GODiT Ghana Music Awards and 2019 Vodafone Ghana Music Awards where she bagged nominations for Gospel song of the year and Gospel Artiste of the Year respectively.